Recently, Willie Nelson was spotted on Instagram posing next to Nick and Nate’s pot strains. Talk about a memorable moment. 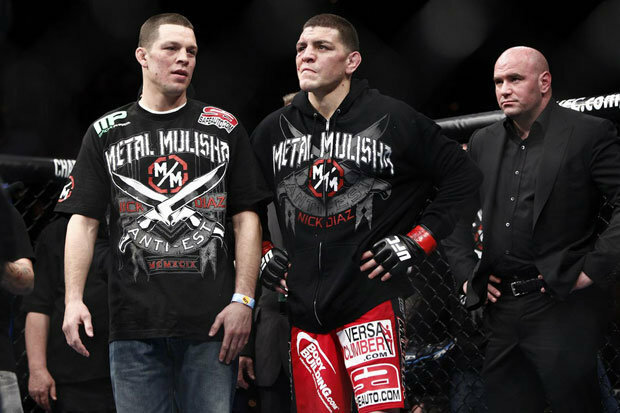 For some time now, the Diaz brothers and their love for the weed has caused quite a bit of controversy. However, it turns out that Nick and Nate are finally being rewarded for their habits. Not only are they making bank from their weed products, but they also have the Willie Nelson repping their marijuana strains. And if Willie says their ganja is good, then you know it has to be true. Lately, it seems as though Nick and Nate Diaz cannot catch a break. Since openly admitting that they use cannabis, the brothers have been through a lot of nonsense. Now, the Diaz’s love for weed is starting to pay off. From endorsing rolling papers to their medical pot, everyone wants to get their hands on their products, including Willie Nelson. In fact, Willie is even recommending the Diaz’s new weed strains. As can be seen above, he’s repping them proudly. Recently, the country singer was spotted on Instagram posing next to Nick and Nate’s pot strains. Talk about a memorable moment. Both Nick and Nate teamed up with California Finest to produce their pre-rolled strains “Energy” and “Recovery.” Apparently, their medical pot is catching a lot of attention from the right folks. The brothers already have a few famous fans, but Willie Nelson is a legend. Not to mention, he is the weed-smoking champion. He even out smoked Snoop, for crying out loud. 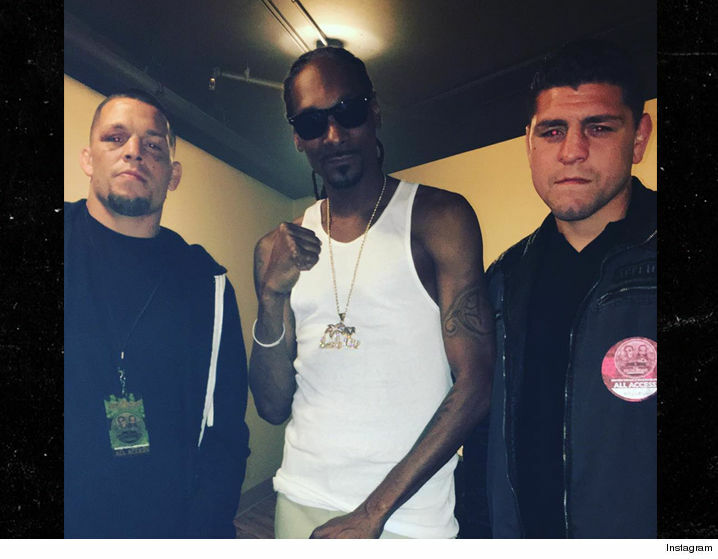 Speaking of Snoop Dogg, Mr. D-o-double g is another fan of Nick and Nate Diaz. Earlier this year, the Diaz’s had an epic sesh with Snoop. And before that, Nick and Nate shared a gigantic joint with Tommy Chong. In case you missed that memorable moment, here is the clip. Despite the troubles the two have been through with the UFC, their hard work is without a doubt working in their favor. Not to mention, everyone loves them. The brothers are marketing “Recovery” and “Energy” as pre and post-workout strains that are perfect for athletes. While “Recovery” is an indica that’s best for post-workout consumption, “Energy” is a sativa, and will help amp you up before your workout.